I rang & spoke to Tien @ CareWear yesterday just to confirm & clear-up a few things with regard to the OEM PROJECTOR STYLE HEADLIGHTS they sell. 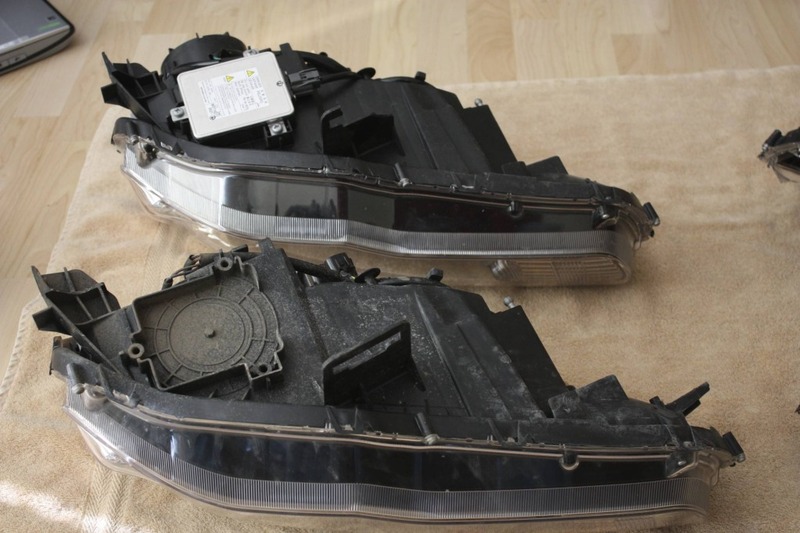 Both Variants are imported from "DEPO" in Japan who supply Mitsubishi's Lighting. They meet ADR Australian Design Rules (E-Mark "E4") which means they are legal for use here in Aust. These Headlamp Assy's appear OEM as those found on the Aspire & EVO in Australia. They "DO NOT" come fitted with any Globes. You need to purchase your own to suit. 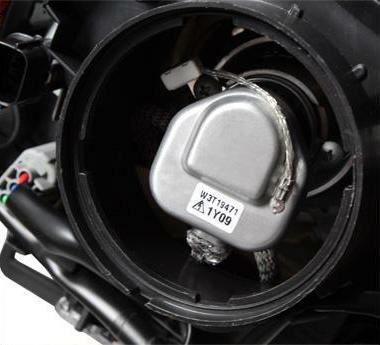 Low Beam is a H7 Lamp Socket which allows you to use either a H7 Halogen Globe or a H7 HID Kit. High Beam is a HB3 Lamp Socket which allows you to use either a 55W or 65W Halogen Globe of your choice. Parker Globes are a T10 socket as OEM. Blinker Globes are a T20 socket as OEM. They "DO" come fitted with "ALL" Globes. You "DO NOT" need to purchase any extra. Low Beam use the Industry Standard D2S HID Lamp Socket which is the same as OEM. HID Bulbs supplied are MTEC 6000K. High Beam is a HB3 Halogen Lamp Socket. Halogen Globes supplied are MTEC MT-442 Super White 65W 5000K. Parker Globes are a T10 socket as OEM. Globes supplied are High Power LED bulbs. Blinker Globes are a T20 socket as OEM. Globes supplied are Invisible Stealth bulbs. OEM Mitsubishi Headlight Leveling Switch & Leveling Motors. 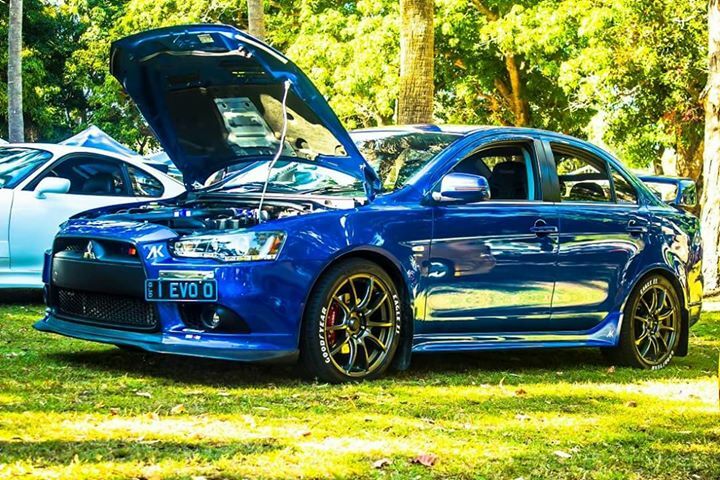 Note: Provided your Lancer has the appropriate wiring arrangement within your existing Wiring Harness Plug/Connector. 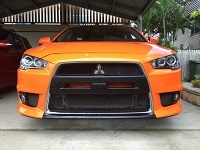 They come fitted with OEM Mitsubishi HID D2S Ballasts and Bulb Igniters. This pic shows the OEM Ballast fitted under the Headlamp Assembly as OEM fitment on the Aspire & EVO. This is the same set-up on the $795 Variant "2" model. 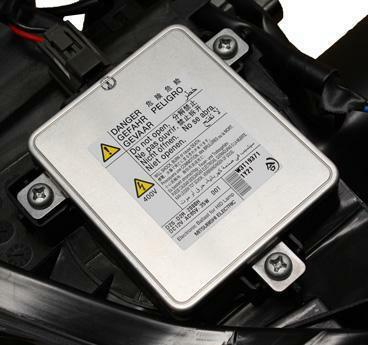 All wiring to & from the Ballast is incorporated within the Headlamps wiring loom meaning no external/exposed wiring or Ballast securing within the Engine Bay. This is "NOT" the set-up with the Variant "1" for $495.95 which require an optional H7 HID Kit. Industry Standard D2S HID Bulb. Appropriate Wiring requirement on Existing Wiring Harness. If you were to purchase the Variant "1" or Projector Headlamps from MARS or Others etc. CONCLUSION: The Variant "2" @ $795 is the CLOSEST & MOST LEGAL to the OEM Mitsubishi Projector Headlamps. The only part missing from the vehicle, are the OEM Pop-Out Washers, which I've honestly never used because the Headlamps just never get dirty enough in suburban driving to warrant their use. Last edited by SAM-24A on Wed Jan 20, 2016 4:14 pm, edited 1 time in total. Nice find. Shame there are no cheaper stock looking ones with projectors. Coz im gonna gut it anyway for better projectors etc... so $500 is too much for me. 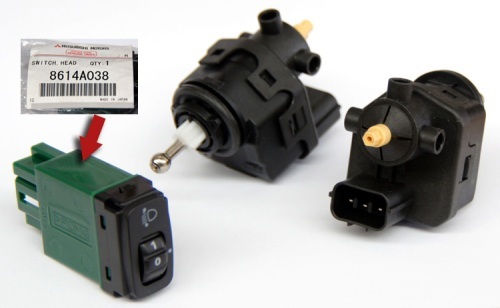 The Active (Steering Light) only applies to the OEM Headlamps on the EVO & Aspire models. The same globe position on both Variant 1 & 2 I've mentioned from CARWEAR are used as Forward facing High Beam .... 65W 5000k. Okay, they look like they are facing inwards and not forward to me. They will be bright with twin high beams. I won't have a chance to fit them for a while, but we plugged one into the loom to check it out, and they are bloody bright. The stock halogens look yellow in comparison. Can't wait to get them installed and go for a good drive at night. Yes, those headlamp assemblies use a DS2 HID globe for Low Beam, but unfortunately use a stand alone HB3 55W or 65W for High Beam which isn't going to light-up the highway anywhere near as much as HID's. The EVO & Aspire headlamp assemblies use the HID globe for Low & High Beam via the inclusion of a solenoid operated shutter which acts like an Eye Lid which is half open at Low Beam and fully open at High Beam. The other stand alone Halogen globe is used in conjunction with the steering function to illuminate the side path during steering into a corner. 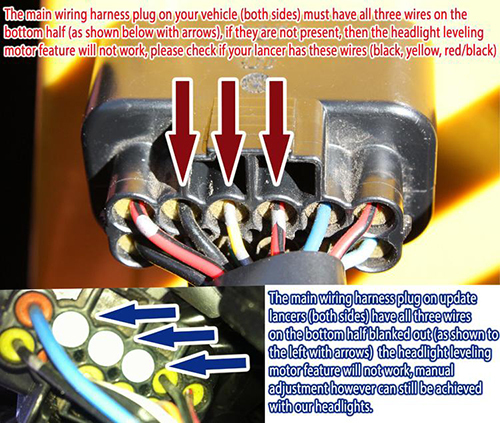 Unfortunately, even though those Headlamp assemblies are a genuine DEPOT product, they "cannot" be identical to those found on an EVO or Aspire due to copyright infringement against Mitsubishi whom requested & paid $$$ for that specific globe design/layout which remains genuine to Mitsubishi vehicles only. I've often thought of converting/modifying the otherwise useless Fog Lamps into Driving Lights, but again how . I've been (and still am) at home/hospital for the past 4mths dealing with my relapse of Lymphoma cancer. However this has allowed me much time to surf EBay & AliExpress where I accidentally located HID Reflector Housing "Direct Mount/Fit" Fog Lamps specific for the Lancer. You can choose to use either a Halogen, HID or LED globe in them. I'm going to be using HID equivalent LED globes. Illuminate in High Beam mode (Solenoid Shutter is Fully Open) when all other lights are "OFF" via the use of an OEM copy switch. I'll be using this switch. Mitsubishi Push Switch 120B 12V DRIVING LIGHTS on-off LED "Blue"
Wiring, Fitment, Testing is "Still in Progress"
The lights are installed, along with the levelling switch and everything. 2) When I turn the ignition on, there's a sound like a relay rapidly flicking on and off for a couple of seconds. Does anyone know why? All the lights work, and the levelling motors do their stuff.